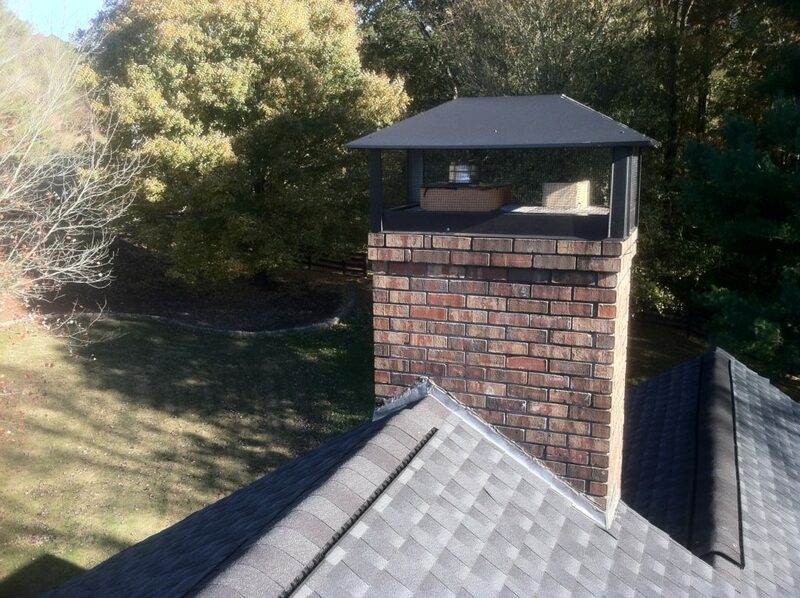 Custom chimney caps are the go-to fix for water entry into a chimney. Caps protect the top surface of your chimney from rain as well as critters and birds. For masonry chimneys, we have many styles of full chimney caps available as well as some smaller flue caps if desired. These caps can be built from copper, stainless steel or galvanized steel. All of our products are warrantied and are custom built so that your chimney gets the best fitting and functioning cap possible. For factory-built fireplaces, we offer custom chase covers to keep rain from entering the wooden chase and walls of the house. These can also be built from copper, stainless steel or galvanized steel. In addition to your new chase cover, we can provide a wind shroud made in one of many available styles to protect the chimney from excessive wind and to improve the look of the chimney. All of our custom products are able to be powder coated in one of several available colors. Ask one of our staff for details.